​Dr. 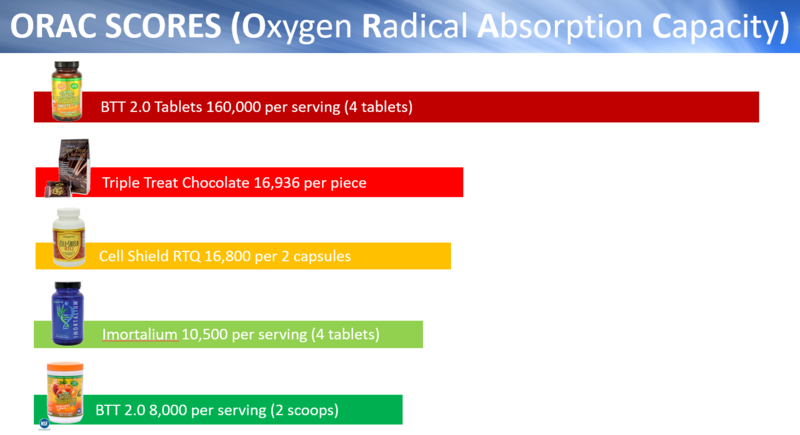 Wallach recommends that everyone consume 20,000 ORAC points a day if they want to maintain health. If someone is at increased risk or dealing with a serious health concern, he recommends boosting the ORAC score as close to 100,000 ORAC points a day as possible.